Beginning in 1895, U.G. Leedy along with his roommate, Sam Cooley, starting manufacturing percussion instruments in their apartment. 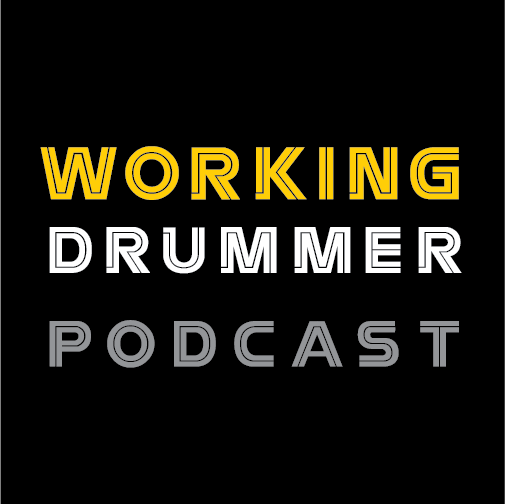 By the 1920s, The Leedy Manufacturing Co. was producing some of the best built drums on the market and eventually would be label itself “The World’s Largest Drum Company”. 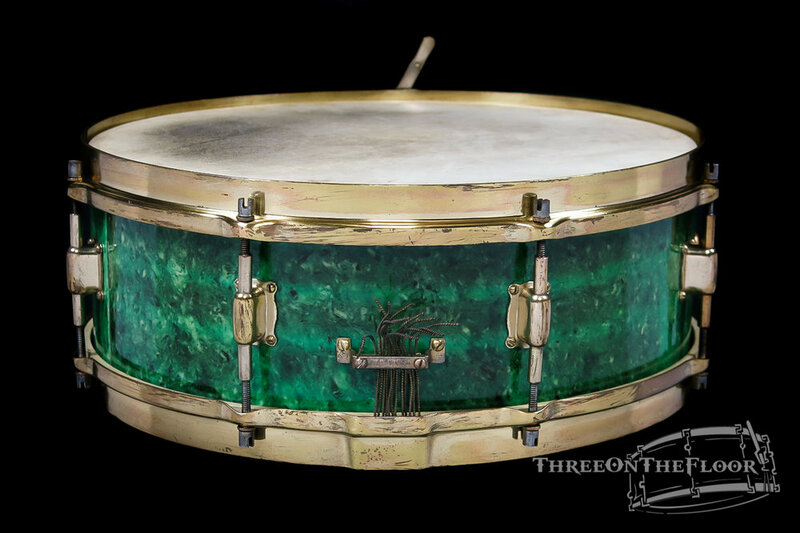 This particular Leedy drum features the unique Jade Green finish offered for a limited amount of time during the late 1920s. 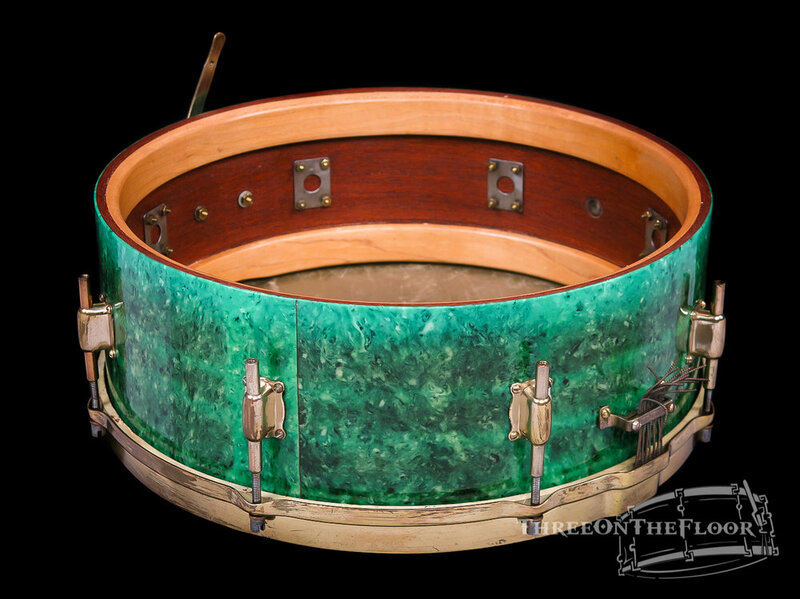 The Jade Green Model advertisement below was featured in the 1928 catalog where three different sizes 4x14, 5x14, and 6x14 were available in this particular finish. The finish was inspired by the patterns and colors found in oriental ornaments during this era. The finish wrap was thought to be a cross between a Marine Pearl and Sparkling Gold finishes, utilizing the best of both worlds in flash and elegance. The drum was acquired from a private collection and is in phenomenal condition, showing no modifications. 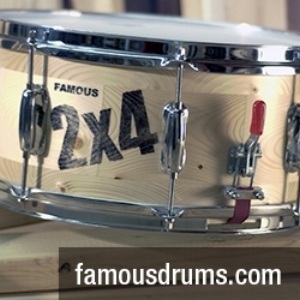 It features the second generation of the box like lug designed by Leedy in the early 1920s. Leedy was the first company to design a lug casing that utilized a swivel nut. This was a branch from the tubular style lugs that were popular during this era and allowed the tension rod to move slightly within the casing, helping to prevent the threads from stripping when being assembled and disassembled. 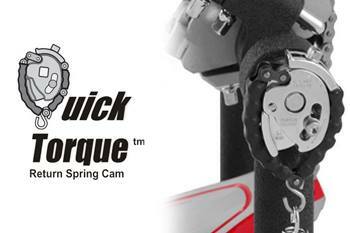 Leedy advertised this feature as a “Self-Aligning” system. The drum is equipped with all original Nobby Gold hardware in addition to the Speedway strainer, which was first introduced in 1926. The shell is solid mahogany along with a maple reinforcement ring which is absolutely beautiful and known for delivering excellent resonance and tone.